Battery contacts are a big part of what we do at Fourslide Spring and Stamping. Whether your specification calls for stainless steel, phosphor bronze, beryllium copper, or brass, we can make your contacts. We can plate them for you, too – gold, silver, nickel, tin. Designing a new contact to fit into your PCB layout? Contact us early and let us help you through the design phase. Give us a call, send us an email, or use our online RFQ form. We're ready to help. 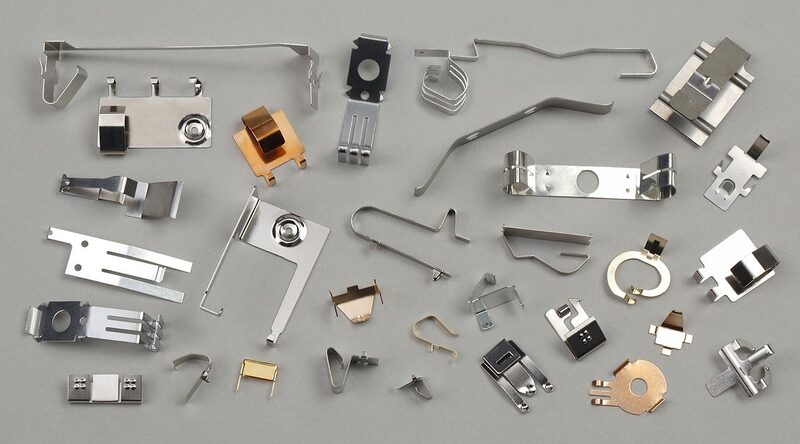 We are experts in manufacturing in a wide variety of electrical contacts.